MoM hips are hips in which the ball and socket are both made from metal. The metal ball and metal cup slide against each other. Metal wear will cause some tiny metal particles to wear off. MoM implants are more prone to failure, more susceptible to errors in surgical placement and carry additional risk of release of metal particles. These implants were heavily marketed by several manufacturers beginning in the mid-2000s. We allege that the companies rushed forward with new designs in an effort to gain competitive advantage without proper testing. Patients were subjected to high failure rates, and exposed to metal particles. These particles have caused implant failure, tissue necrosis, and sometimes bone loss. The effects of metal particles on the long term health of patients is a subject of concern and still largely unknown. Andrews and Thornton partner John Thornton had personal experience with a defective metal on metal implant which required a surgical replacement and second rehabilitation. Symptoms may include hip/groin pain, local swelling, numbness, or changes in your ability to walk. There are many reasons a patient with a metal-on-metal hip implant may experience such symptoms and it is important that you contact your surgeon to help determine why you are having them. 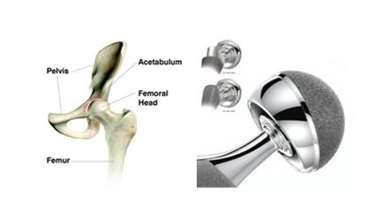 Are there other medical effects that can occur with my metal-on-metal hip implant? 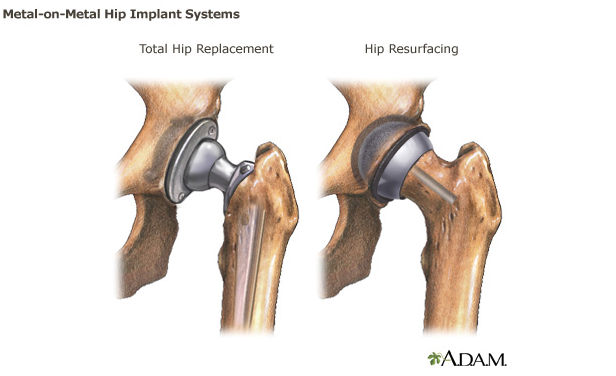 Metal-on-metal hip implants have the same adverse effects as other types of hip implants, including infection, loosening, bone loss, device or bone fracture, and joint dislocation. Some of the implants such as the DePuy ASR, the Zimmer Durom, and Smith & nephew R3 have been recalled by their manufacturer. Others such as the DePuy Pinnacle Metal on Metal and the Biomet Magnum are still on the market.